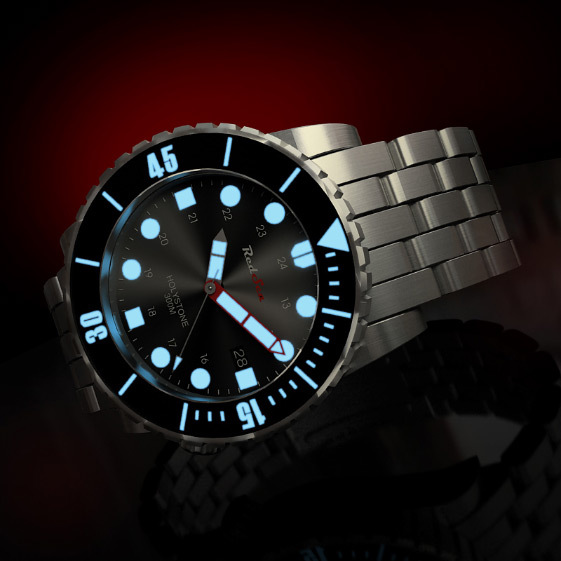 As reported by TLex, editor of prominent diving watch blog OceanicTime, the Red Sea watch company went back to the drawing board after unveiling the first photo-realistic renderings of their Six Pounder model. Red Sea’s first two watches, the Six Pounder and the Holystone will both feature the new Miyota calibre 9015, which is preceived as a decent alternative to stock Swiss Movements. The owner of Miyota, Citizen Holding company, is so confident in the quality and reliability of its mechanical products that it offers a 10 year warranty on their luxury mechanical range. The two Red Sea models seem to use the same case design and they are differenciated by their dials and hands. The Holystone features red hands dotted with LÜM-TEC®, one of the brightest strontium aluminate-based photo-luminous materials. The Six Pounder uses the same dial indexes, but it features military time reading and a different set of hands. 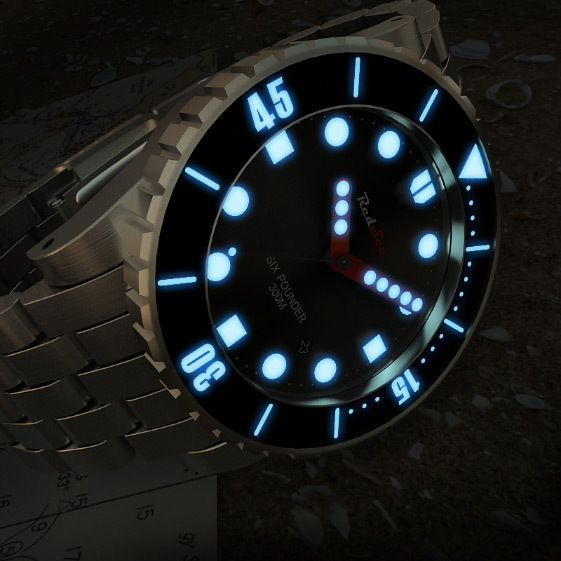 Here is a callery of pictures captured from the official Red Sea watches Web site.